The European Investment Bank (EIB) could provide a long-term financing of up to $250 million to Kernel Group to cover capital expenses in FY 2019 (began on July 1, 2018). According to the information on the EIB's website, the project is under appraisal. "The project consists of the financing of two inland grain silos, a grain handling and storage terminal located within the Port of Chornomorsk, five biomass-fired combined heat and power plants (CHPs) and one sunflower oil crushing plant, in different locations in Ukraine," the bank said. The EIB said that the total cost of the project is up to $519 million. "EIB funds are expected to enable the company to improve trade and export logistics by constructing new grain silos (accessible also to third parties) and transhipment facilities. It will directly support the upgrade of agricultural facilities and contribute to aligning with the EU standards in the country. Through the construction of a new greenfield sunflower oilseed production plant, which is expected to incorporate best available technology, the company should be able to be more resource efficient, consolidate its competitive position and, therefore, increase its market share both in Ukraine and in the EU," the bank said. 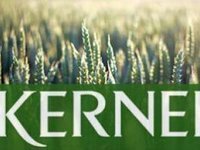 Kernel is the world's largest producer and exporter of sunflower oil, a leading producer and supplier of agricultural products from the Black Sea region to world markets with a land bank of 560,000 hectares. The vertically integrated structure of the company is based on closely related business segments: production, export and domestic sales of sunflower oil; crop production; grain exports; provision of services for grain storage and transshipment at elevators and port terminals.